In 1854, Louis Vuitton founded his House. In 1896 his son, Georges Vuitton, created The Monogram in honor of his late father. An icon was born. The Monogram was revolutionary when it appeared. This most particular and personal of signatures was instantly transformed into a universal symbol of modernity in the hands of Georges Vuitton: it is one of the first exercises in elevated branding and a defining sign of a global culture to come. The Monogram is now recognized globally as a defining signature, both literally and metaphorically, of the House of Louis Vuitton. As it has traveled through time, certain of its features and meanings remain the same. Blurring the boundaries between craftsmanship, art and design, Louis Vuitton has repeatedly embraced the notions of innovation, collaboration and daring throughout The Monogram’s history. It is within this context that Louis Vuitton’s ‘Celebrating Monogram’ project appears this year. It is a collection of works that shows the distinctly personal side of the Monogram; re-presenting something we think we all know in an extraordinary, individual and idiosyncratic way. Six creative iconoclasts – the best in their individual fields – who blur the lines between fashion, art, architecture and product design, have been given carte blanche to dictate and make whatever they see fit in the patterned canvas. 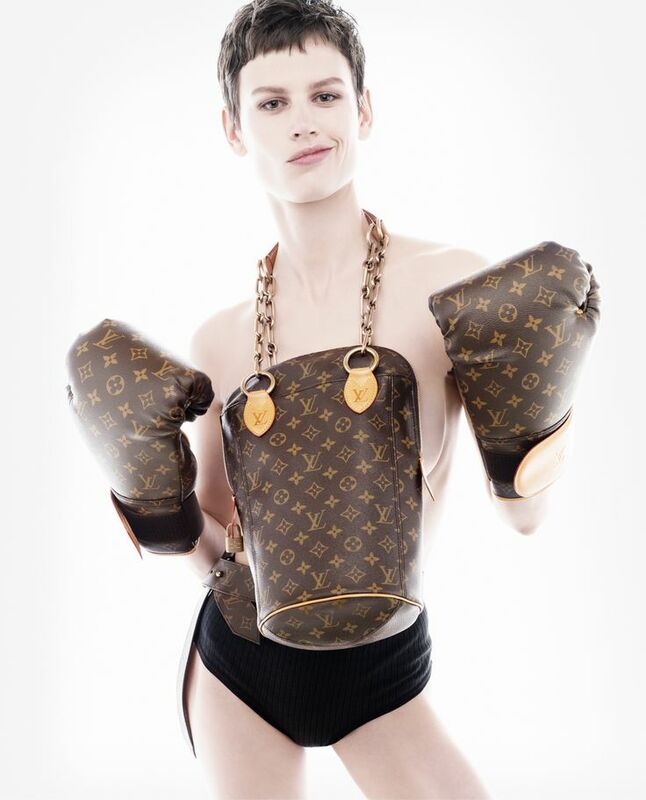 Echoing the special Louis Vuitton centenary collection of 1996 – where Azzedine Alaia, Manolo Blahnik, Romeo Gigli, Helmut Lang, Isaac Mizrahi, Sybilla and Vivienne Westwood contributed individual and distinct designs – for 2014’s collection, the participants have progressed even further. Here, Christian Louboutin, Cindy Sherman, Frank Gehry, Karl Lagerfeld, Marc Newson and Rei Kawakubo radically, personally and playfully realise an unparalleled collection. In many ways it means The Monogram has come full circle: looking at its handcrafted roots once more, its direct connection to a person, its daring and genre defying audacity and, above all, its journey into the future for Louis Vuitton. This is a collection that is both universal and personal, and in the cherished traditions of the house, once again defies expectations. Which one is your favorite? I fell in love with the one by Christian Louboutin, followed by Frank Gehry’s design.